Within the radiator industry, electric radiators get quite a bad press. Many people are averse to choosing the style of radiator because of this reputation. However, this reputation is somewhat unwarranted nowadays because of how far radiator technology has come. In the past, it is certainly true that central heating radiators were the better option. This is no longer necessarily the case. We are going to explore this topic during the course of this article where we look at the advantages of installing a wall mounted electric radiator. They might not be the ideal choice and every scenario, but they certainly have their place. The main reason that electric radiators get a bad press is that they are generally more expensive to run than central heating radiators are. This is because the price of electricity is more than the price of natural gas. However, the energy market is changing and these pressures may disappear within the next generation as we move towards renewable energy. In the future, it is likely that natural gas will become increasingly expensive as we start to run out. Not only that, but it is likely to have an impact on the environment and if we are serious about saving our planet, we will stop using this type of resource and stick with renewable resources. More and more electricity is being generated via renewable sources such as wind power and hydropower. Technology is increasing year-on-year and consequently, electricity prices are coming down. This means there within the next decade, wall mounted electric radiators are likely to be cheaper than central heating radiators to run, especially when you couple this with the use of night storage bricks. In general, it is much easier to install an electric appliance like a radiator than it is to install something connected to your central heating, such a boiler, or a radiator. This is because if you want to add a new fixture to your central heating system, you will have to lift up the floorboards/tiles and lay down new pipework. This can be quite a daunting challenge and it is much more expensive than simply installing a new electric radiator. Central heating radiators are full of water and this makes them heavy. They are generally twice as heavy as a typical electric radiator is. With a weak wall, such as a partition wall, a central heating radiator might be too heavy and can potentially damage the wall. Wall mounted electric radiators are much lighter and so are much less likely to cause any significant damage. I would always recommend that you have a wall survey done just to verify, but often, the electric radiators are the better solution for a weak wall. I hope that you have found this article useful and it you now have a good idea about why you should be choosing a wall mounted electric radiator for your next radiator purchase. They aren’t suitable for everyone, but they certainly have their place. Hello internet traveller! Do you have central heating? If you do, you should find this article interesting because I am going to talk to you through some top tips to help you get the most out of your central heating. Some of these tips you might already know, some you might have forgotten, and some might be completely new. My only hope is that you find this article at least a little bit interesting and that it helps you get more from your central heating system. Unless you're rich, money is going to be an issue for you and with heating costs rising year-on-year, it is well worth finding the best deals out there. Money Saving Expert (www.moneysavingexpert.com) has an energy club but you can sign up to and provide them with lots of details about your central heating and they will find you the best and cheapest suppliers. You can then review each supplier and choose one that you trust. Personally, I just go with money-saving expert’s advice on the best one at the time. I saved £200 moving from British Gas to Avro energy last year so it is definitely worth doing. The internet has the best prices when it comes to radiators. There is so much choice that you can buy some of the best radiators for very little cost and certainly less than the cost of a bricks and mortar retailer. The first thing to do when you are looking to buy new radiators is to Google radiators for sale. This will return a list of all of the retailers that are currently selling their radiators as part of the sale. This should help you find the cheapest radiator that offers the highest quality. Once you have filed a make and model that you want to buy, just do another quick Google Search to see if another retailer has the same make and model for less than the one that you have found. You will often find that they do. Many people don't bother to get there boilers and radiators serviced. They wait until something goes wrong and then pay out for that. But it's much cheaper just to have them serviced annually. This will make them all last a lot longer and will avoid those expensive one-off payments that can be quite common if you do not service them properly. You can pay for these sorts of services monthly. You can choose to go with a big well-known brand, such as British Gas, or you could choose one of your local heat experts who often also offer these sorts of services. In fact, the latter is often used by the former as there contractor. And the local expert is likely to be much cheaper because you're cutting out the Middleman there. You can also ask the local expert about any radiators for sale you are thinking of buying. They will be able to tell you whether you have found a bargain and whether the radiator is a good one or not. I hope that you found the central heating kits useful. They can make a lot of difference to your home heating and your enjoyment of it. What Are the Benefits of Buying a Compact Radiator? Those of you who are particularly observant will have noticed that the compact radiator has become increasingly popular in recent years. Do you know why? It's because they have so many benefits. In this article, I am going to explore some of the benefits that you can expect to have if you buy a compact radiator. Well obviously, the main reason that people buy compact radiators is that they allow you to heat a small room. If there was no such thing as compact radiators, how would we be able to heat a little utility room or tiny bathroom? We wouldn't be able to...well, actually…that's not entirely true. You can install vertical radiators in small spaces, but they can make the room feel even smaller. It isn't just small rooms that benefit from a compact radiator, large rooms can benefit too. For example, if you install a big rectangular radiator in your living room, you'll probably lose an entire wall of usable space. With space at a premium in the UK, this isn't a good thing. Enter the compact radiator: It can provide a relatively large room with an off-peak without taking up as much usable wall space. As long as you choose the correct type of radiator, they can produce almost as much heat. This leads us nicely onto the next point. Compact radiators make use of various technologies to ensure that they can produce sufficient amounts of heat for the space. For example, manufacturers will often use multiple panels with compact heaters so that the surface area is much larger. They also tend to use multiple convection fins. Not only do the fins increase the surface area of the radiator, but they also increase the way that it distributes heat through the room. The more convection fins there are on a radiator, the better the heat will distribute through the room. You don't really have to worry about this too much though. In order to ensure that the radiator has enough heat for the room, all you need to do is to check the BTU rating and compare this to the BTU requirements of the room. BTU stands for British thermal units and it is how we measure the output in the UK. To find out how much heat your room needs, you just have to use a BTU calculator, which you can find online. As you can appreciate, a compact heater so I can work fantastically well in a modern home. We hope that you now appreciate how beneficial they can be. They aren't the answer to everyone's heating needs, but they can definitely address many problems faced by UK homeowners. Designer radiators are a fantastic addition to any room. They can really make the room pop and feel something special. Many people assume that because the radiator is a designer one, that it will always be an excellent choice for them. This is not necessarily the case. 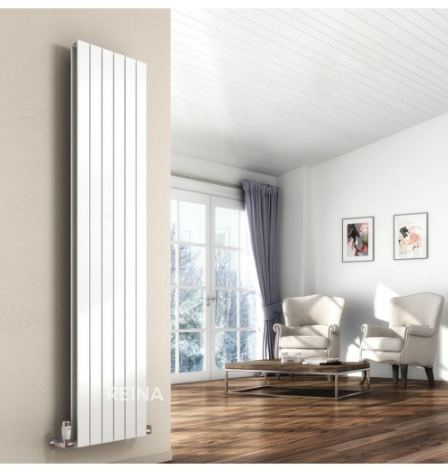 In order to ensure that you are buying a radiator that is going to work well for you and the space, you need to pay attention to three things. Not all designer radiators are made equal so paying attention to these three facts can help make sure that you do not make costly mistakes. 1: What is the build quality of the radiator? 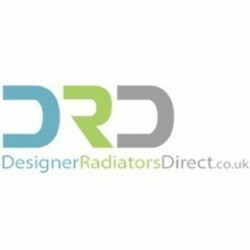 The most important thing to be aware of when buying designer radiators is that the label "designer" tends to mean that the radiator looks unusual or interesting, and does not mean that it is a high-quality radiator. You have to do the necessary checks to ensure that the radiator you are buying is high quality as well as being designer. There is a very easy way to tell which radiators are high quality and that is by looking at the length of the guarantee offered by the manufacturer. For example, Bisque radiators have a guarantee of up to 20 years. This is an exceptional length for the radiator industry where a typical guarantee is 5 years. Anything above 10 years tells you that the build quality is good. 20 years shows that the build quality is excellent. 2: How does the radiator fit with the style of the room? There are some truly exceptionally beautiful radiators on the market and this can make people part with their cash when they really shouldn't. Remember, just because a radiator looks great in a showroom or in somebody else's home, it doesn't mean that it will look good in your home. When you buy a designer radiator, you need to ensure that it suits the style of the home/room. If you don't, you can inadvertently end up buying and I saw that looks bad and actually does the opposite of what you're trying to achieve. Make sure that the style suits the room in both colour and shape/size if you want to make the best choice when buying a designer radiator. 3: How much heat does it output? The final thing that you need to pay attention to is the amount of heat the radiator can produce. So many people ignore the heat output when buying a radiator because they're just focused on the style of the radiator. It doesn't matter if you buy the most expensive high quality Bisque radiator. If it doesn't have the desired output, it is not going to be suitable for the space. In fact, we should have probably have chosen this point to be the number one point as it is the most important factor here. Because, after all, your radiator is there to produce heat. I hope that you have found this article useful. The thing to take away is that you need to pay attention to heat output first, then the build quality of the radiator and only after paying attention to those two aspects, should he decide on the side of the radiator. Unless you are a trained professional or a decent amateur, it's likely that you are making several interior design mistakes. This will have an effect on how you feel about your space. You might not like it as much as you would if you could solve these issues. Well, in this article, we are going to try to make your life feel that little bit better by helping you solve some of these common problems. Look through the list and see if you are doing any of them at home and then fix them. They're cheap fixes but they will improve your living space immeasurably. If you have too much space on one particular wall, e.g. there are no pictures, mirrors, or contemporary radiators, then that is a waste of space and it will not look as good as it could. You might think that you're following the minimalistic look, but even then, they would have at least one or two points of interest on the wall. Otherwise, it just looks boring and oppressive. If you have a huge blank space like this, add a couple of pictures, mirrors, or decals. You can still keep it subtle for a minimalist look, but the important thing is to break up a huge chunk of space. If not enough points of interest as a problem, so too are too many points of interest. If you have too much clutter in the room, it's not going to look good. You have to at least create some space between different elements of the room so that the room flows freely and you can move through it easily. Be quite harsh in getting rid of things that you don't need or want. Another great tip is to have storage in the room. For example, in a living room, you could buy a coffee table that has a shelf underneath it where you can place things like remote control stand magazines. It just keeps them out of the way and minimises the clutter. An ottoman is another good thing that you can place. It looks especially good under a bay window. Some people think that darkrooms have a cosy feel to them, but this is generally not the place. Instead, if the room is too dark, it can feel oppressive. You'll have to bring some light into the room. Personally, a great colour for your lounge would be something like a warm white. This colour is warm but not oppressive. If you want to bring a dark colour into the room, use an accent wall rather than painting the entire room. This will have the effect of creating an interesting space that feels welcoming at the same time. A common problem that we see is people redecorating their lounge, making everything look great, but neglecting to change the radiator. An old radiator will bring down the appearance of any room. Contemporary radiators are fantastic because they come in such a wide range of designs, that you can choose one to suit anything and you can choose one that will act itself as a point of interest for the room. It's a great way to break up that blank wall from issue one. I hope that you have found this article useful. Solving these issues can go a long way to creating a space that you love to spend time in. ... Ok, so that's a massive over exaggeration, but if you're a homeowner, you will definitely find this information somewhat interesting, or if not interesting, at least useful. We are told that size doesn't matter all the time, but hardly anyone believes that. But with radiators, it's practically true. Whilst the surface area of a radiator is important, it is not so much the length and width that matters, but the depth. The deeper the radiator, the more metal there is likely to be, and so the greater the surface area. But it isn't the size her say that matters but the amount of heat that the radiator can put out. All you have to worry about when buying a radiator is its BTU rating. This tells you how much heat the radiator can produce within an hour and you can then match this figure to the requirements of your room. As long as you choose a radiator that has enough BTU for the room, size is completely irrelevant. In most cases, the size does correlate with BTU, but not all the time. As with most of our everyday appliances and technology, radiators are becoming smart. No, they aren't evolving brains, but they're having certain human-made computers added to them to improve their function. I suppose that does count as a brain in some respects. Maybe in a million years, our radiators will be sentient, but not quite yet, unless you count being connected to OK Google as sentience? So, our radiator smart. We are connecting them to the internet of things and are now able to control them remotely. You can literally be sat in bed feeling a little bit chilly and use your mobile phone to turn up the temperature in your home. Or, you might be on holiday somewhere in winter and realise that you've left your central heating switched off and the pipes may suffer damage. No problem anymore, you just sign in to your Smart home and adjust the heating as necessary. As well as the new smart technology, thermostatic radiator valves have been improved too. They are now much more sensitive than ever before to temperature changes giving you fantastic control over your central heating system and ensuring that you waste as little energy as possible. If you have old radiators, you have probably noticed that they have some rust patches. With newer radiators, this is much less likely to happen because the technology has caught up and there are all sorts of additives in radiators nowadays to minimise rusting substantially. Personally, I would recommend buying a stainless steel radiator that has special rust treatment if you really want to keep those rough patches away for the next two or three, maybe even four, decades. I hope I managed to make radiators a little bit interesting. Personally, I like anything that looks at new technology and shows how much it's changing and how far humans have come. With my awesome when you look at everything we've done. Radiators aren't the most interesting of topics but there are a few things that are quite interesting about them and we are going to explore 3 of the best technologies to come out of the radiator industry this year. You never know, by the time you reach the end of this article, you might actually be quite interested in what you just learned...but maybe not, it depends. Have you ever touched a radiator when it's on full blast, especially a bathroom radiator in Chrome? It hurts a bit, doesn't it? For some reason, this is something that used to happen fairly regularly when I was younger. I don't know if that's a child thing or if British safety standards went up and radiators were no longer allowed to be quite as hot. Either way, touching a full blast radiator is uncomfortable, to say the least, and some of them are downright burny. Don't ask me how they invented them, but safe to touch radiators are the future. Well, thanks to some clever chaps that work within the radiator industry, we can now buy radiators that no longer burn when you touch them but that can still produce enough heat for the room. Don't ask me how they invented them, but safe to touch radiators are the future. Thermostatic radiator valves have been around a long time now and you can get them for most modern radiators, from cast iron column radiators to compact radiators, somewhere you'll be able to find a thermostatic valve. However, this technology stayed relatively simple and straightforward for the past 10 years or so. But this year, it is going to change because the technology has moved on and we are now going to see much more adaptable valves. They will have a fine-tuning and will be able to accommodate a much narrower range of temperatures. In other words, these latest generation thermostatic radiator valves are going to allow us even more control over our radiators than ever before. Some of them even have LED lights to add a little bit of ambience to your room. Pretty cool, huh? Probably my favourite evolution within the radiator industry, and even better than the invention of compact radiators that produce as much heat as larger ones, is the advent of smart radiators. These things are awesome and the connectivity is just getting better year on year. You can now by special thermostatic radiator valves that allow you to control each individual radiator remotely. That means that you can be in a cabin in the woods in Canada and switch on and off your bedroom heating in England. I can see this being abused by trollsome family members, but once that novelty has worn off; it's going to be a great technology. Seriously, how many times have you been laid on the sofa thinking, "It's freezing in here, but I can't be bothered to get up and turn the heating on"? If you're anything like me, it's a lot. But now you don't have to get up off the sofa. You just use your SmartWatch or smartphone and control your radiator from there. Easy peasy fabulousness. I hope that you found this article interesting. Some of the gadgets that you can find the radius nowadays so actually quite advanced. They can really improve your home heating. Have you ever walked into somebody's lounge and thought to yourself, "Wow, this is such an awesome space. I wish it was mine"? Some people just seem to have that knack of being able to create fantastic spaces. You walk into the home and everything feels comfortable, clean, and stylish. How do they do it? Well, they follow a few rules of interior design. If you're fed up with how your lounge feels and it isn't quite hitting the spot as a place that you want to relax, then there are some fantastic things that you can do to make that space a little more enjoyable. One thing that is going to drag down the feel of your home is if you're decor isn't quite up to scratch. If you haven't painted the room in a while, it's definitely time to pick up that paint brush and don't worry, it isn't that difficult. The best colour to paint your living room is white. This will give it a nice open and clean feel. Now, you have to be careful with your choice of white though. If you make the wrong choice, the room will feel clinical instead of cosy. The trick is to use a warm white. This makes the room feel bigger and more stylish without making it feel cold and uninviting. Most paint manufacturers will have information on their warm colours and these will include white, but if in doubt, head down to your local decorator shop, and ask for advice. It's no secret that many enthusiastic interior design options make use of accessories like pillows and throws. They can make a huge amount of difference to the space and render it extremely attractive and cosy. This is a great trick if you need to buy a new sofa but can't afford it because it will breathe new life into the sofa or chair, without having to go to the expense of reupholstering it or buying a new one. It's also fantastic for contrasting with the colour of the walls. Because you've painted the walls white, the rest of the colour is going to pop and make everything much more eye-catching and attractive. So many people ignore the importance of the radiator in any room but when you think about it takes up such a large amount of space that you should take advantage of it to act as a focal point. Choosing a designer radiator, such as Bisque radiators, is a fantastic way to bring style and sophistication to the room at very little cost. A decent Bisque radiator will cost you as little as £200, but it will add that little touch of style and sophistication to a room that makes it priceless. 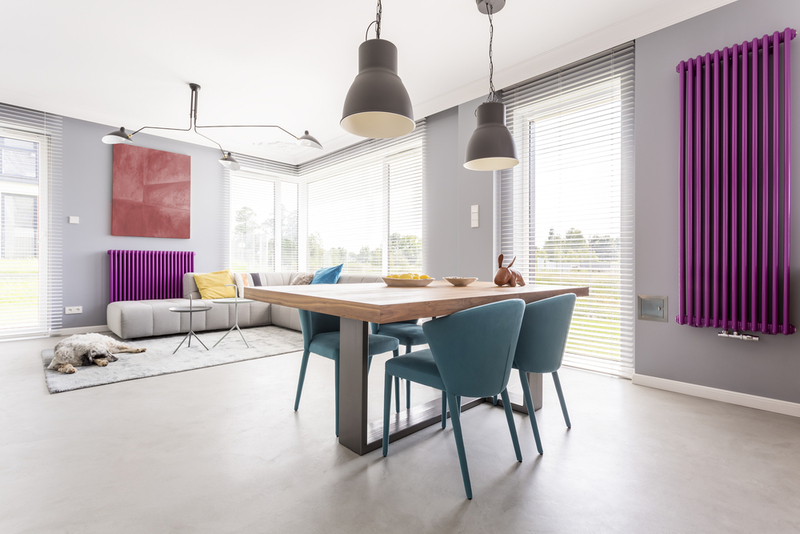 This is a well-known trick within the interior design industry, but one that very few people are aware of in ordinary life, but your choice of radiator has a huge impact on the room. We hope that you have found this article useful and that you now have a good idea about the type of things that will help you to create a fantastic space in your lounge. What Features Should You Pay Attention to When Buying Underfloor Heating? Underfloor heating is a relatively new invention and because of that, many people are confused about the type of things they should be considering when buying it. If this sounds familiar, then you should find this article useful. Today, we are going to look at the three most important features that you should be looking for when buying underfloor heating. Before you look to anything else, you have to make sure that the underfloor heating that you purchase is safe to use. Now, there are two different types of underfloor heating. First, is wet underfloor heating, which uses underfloor plastic tubing, and the second is electric underfloor heating, which uses underfloor heating mats. The ISO standard number. This is the international organisation for standardization and it sets out rules and regulations about the safety of different products. The ISO number shows that the product conforms to international standards. When you are researching the ISO number, make sure that it relates to safety, as there are different types of standardisation. The EN or BS number. These numbers relate to either British Standards or European standards, which Govern standards in the UK and the EU. You will normally find that a number is the same for both the EN and the BS. For example, the number for radiator heat output standards is BS EN 442. This is because the EU and British standards are identical in most cases, except for where the fixtures and fittings at vary. 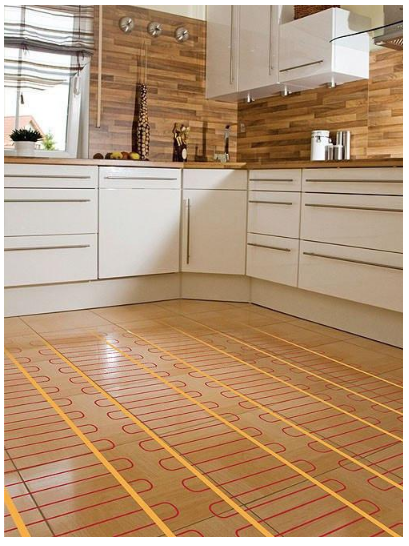 Does the underfloor heating produce adequate heat for the space? Just as you need to ensure that your radiators can produce enough heat for your room, you also need to make sure that your underfloor heating can do the same. There is no point installing it if it cannot maintain a reasonable temperature. Check how many British thermal units/Watts of energy the heating can produce in an hour. You then match this figure to the requirements of the room. It is very important here that you read the instructions concerning the thickness of the floor. If the floor is too thick or it is too well insulated, the heat will not be able to rise through the Flooring into the room. In that case, even if you have made sure that the heating can produce enough heat, it won't be able to pass that heat into the room. So just, be aware of insulation issues with underfloor heating. If in doubt, contacts and underfloor heating specialist because they will be able to advise you on the suitability for your floor. With the underfloor heating mats, many people choose to install them themselves because it is a relatively straightforward DIY job. People with a good amount of DIY knowledge can easily fit their own floor. However, with the wet systems, the installation is harder and it involves the central heating boiler. This is definitely best left to be experts. When thinking about which type of heating to buy, consider how you want to install it. Clearly, using an installation service will cost you more. However, wet systems are generally cheaper to run long term, so even with installation costs; the long-term costs are likely to be more expensive with the electric underfloor heating. We hope that you have found this article useful and that you now have a good idea about the sort of things you should be considering when buying underfloor heating. 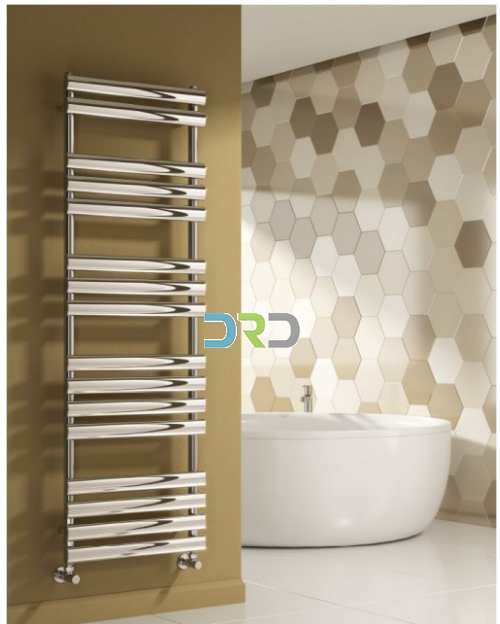 Although towel heaters are very common, there is very little information out there about the type of things that you should be looking for when buying such a radiator. We have written this article to plug that gap. We are going to explore what you should be looking for when buying a new towel radiator. They require slightly different features of a standard radiator does and it's important to know the difference. We hope that this article teaches you these differences well. 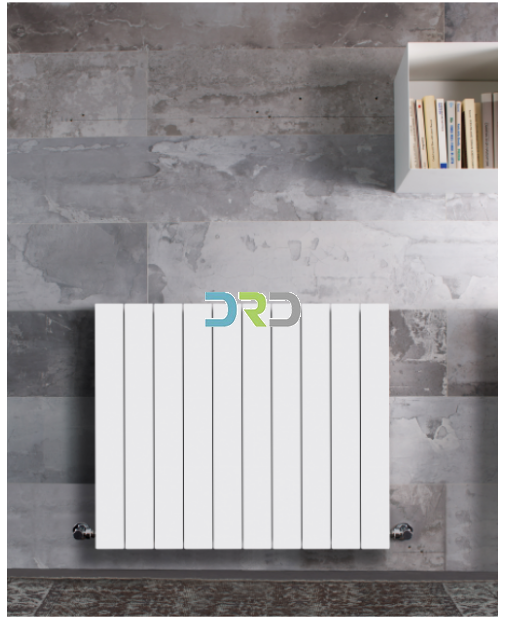 If you're looking for a towel radiator, then it is no doubt to go in the bathroom, utility room, or kitchen. It is highly unlikely that you have such a radiator in your lounge or bedroom, although it's possible. When choosing any type of radiator, you have to make sure that it can produce enough heat to keep the room warm. Because Bathrooms and kitchens tend to be damp, they require more heat than other rooms in the house. For this reason, you have to ensure that you have taken the correct heat measurements for this type of room. For example, if you are using a BTU calculator, you have to ensure that it is one that allows you to specify that the room is a bathroom or kitchen. All radiators should be rust resistant, but it is even more important in bathrooms. You'll find that many towel radiators will go rusty within a year or two and this is because they haven't been treated properly and because they're made of a rust susceptible material, such as aluminium. The best choice of material for use in the bathroom or kitchen is stainless steel. This is because it is the most resistant to rust out of all the radiator materials. Many people assume that beach towel occupies a single rung at a time. This is not true. You need at least two rungs per towel in order to ensure that the radiator produces enough heat to dry the towel within a reasonable time. Allocate at least two rungs per towel. 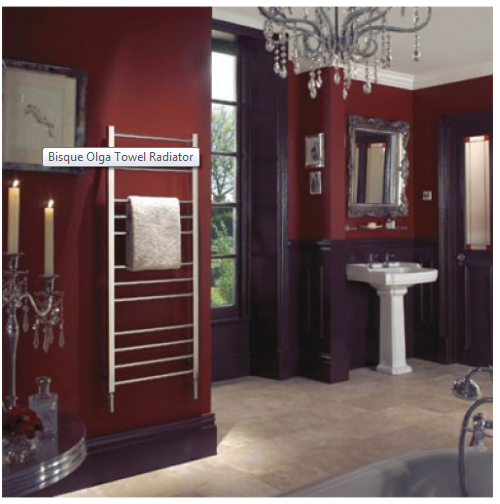 There are hundreds of different styles of towel radiators on the market. You don't have to settle with the first one you find but instead should shop around to see what's available. A carefully chosen radiator can make a lot of difference to the style of the room and you'll be missing out if you don't take the time to look for a style that suits your taste and decor. We hope that you have found this article useful and informative and that you now have a good idea about how to buy your new towel radiator. The advice outlined above will really help need to make the best choice see your home. When you are looking at radiators, the first thing you have to do is to work out the heat output you need. This can either be done by your plumber or you can use one of the calculators which most retailers post on their website. 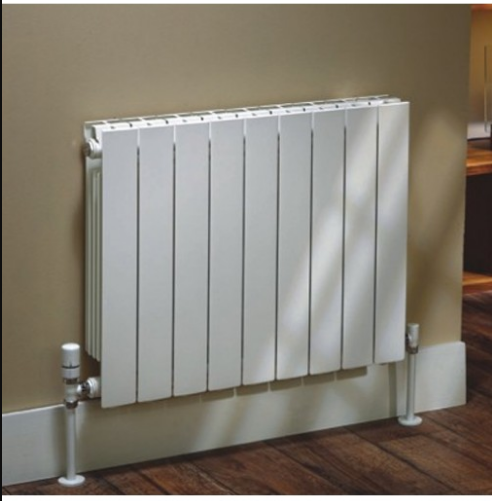 If you Buy Radiators Online this point is really important otherwise you either end up with a heater that has to labour or one that is too big. Either way you will be wasting energy and utility prices are steep. Nowadays radiators are all about design and output and you need to choose a rad that fits in with your décor as well as heating a space adequately. Radiators come in all sizes and colours so there is a lot to choose from. Apart from the popular shiny finishes of some of them there is also a multitude or heaters that are available in many colours. It all depends how flamboyant you are which you are going to choose. You either want something that blends in well or a rad that really stands out. With the purchase of radiators, you will also have to think about the necessary valves. You can buy bog standard ones, but there are also ones available that complement the style of your heater. They can either be mounted on the side or underneath, whatever your preference is. Then there are radiators that are dual fuel. The majority of towel radiators have this option. In a bathroom or kitchen it is really handy to have one of these as you can run them through the year. If you should choose electric only, you won’t have the mess of lifting floor boards to connect pipework to the boiler. If you are going to choose your rads in holiday periods, you can expect some delay in delivery. Most manufacturers shut down at Christmas and in the months of July and August. You should take account of this. If you order outside this period you will receive the goods earlier after payment. Radiators come in all sorts of shapes and sizes and different radiators are appropriate for different needs. People who aren't aware of these differences can often make errors when buying new radiators. If you want to avoid this, then read on. Here, we are going to explore some of the most important things to know about buying radiators. Understanding these will help you to avoid making some of those rookie mistakes were talking about in the title. You might think that the whole point of a radiator is to keep you warm and protect you from the elements, but it is also important to protect your home from the cold too. Several issues can happen if the house is too cold. For example, you can get a lot of movement, which can cause cracks in the plaster, or you can end up with problems such as damp. Clearly, it is vital that you find a radiator that produces enough heat for the room. To do this, you need to use a BTU calculator. You can find them online or at your local radiator retailer/ hardware store. All you need to do is input a few figures, such as the size of the room and whether it has a north-facing wall or double glazing, and it will tell you how much heat the room needs. You then match this figure to the radiator. For example, if the calculator tells you the room needs 2000 BTU per hour, you buy a radiator that can produce 2000 BTU per hour. You can also buy multiple radiators for the room, as long as you have the pipework and as long as they add up to the desired heat output. Radiators come in different material types. For example, some are made of aluminium, some stainless steel, some cast iron. Most manufacturers, such as MHS radiators, sell their radiators in a variety of different materials, so you can choose between different ones depending on which is most appropriate to you. Aluminium radiators are cheap and easy to mould. They come in a broad range of designs making them great for people you are looking for something a bit unusual. They are very fast to heat up but very fast to cool down too. This makes them most appropriate with a responsive central heating system for homes that use their heating on a more ad hoc basis, rather than setting timers. Stainless steel radiators are more expensive and harder to mould, but they are hardwearing and are very resistant to rust. They are better for homes that are slightly damp or for rooms such as bathrooms and kitchens. There is somewhere in between responsive and timed systems and so are appropriate for both. Cast iron radiators are also fairly expensive and tend to come in a single design, which is the column radiator. You can see examples of these by MHS Radiators. They have a classless elegance and are most appropriate for a timed system because they are excellent at releasing heat in a slow and steady manner, but are relatively slow to warm up initially. Choosing the right radiator for your home is essential, not only to your comfort but also to the welfare of the home. Follow the advice above and you should avoid any issues. Are you thinking of buying a vertical radiator? If you are, it is important that you read this article so that you understand what you should be looking for from this style of radiator. It could be that a vertical radiator is a poor choice for your specific circumstances. You do not want to buy the wrong orientation of radiator for your space. It will be inefficient and expensive to run. Below, you will find three of the most important things that you should be considering when buying a vertical radiator. This will help you to avoid buying the wrong type of radiator for your space and for your requirements. The first thing you need to do is to make sure that you are correct in buying a vertical radiator. Vertical radiators are only suitable for small spaces that require a lot of heat, where a horizontal radiator of the necessary heat output (BTU) is too big for the space. If you put a vertical radiator where a horizontal one could go instead, it often makes the room less energy efficient because horizontal radiators distribute heat more evenly and comprehensively across the room. However, sometimes, horizontal radiators of the correct heat output are too large for the space. The other exception is when placing radiators on either side of a door or tall window. In this case, placing two vertical radiators on either side of the door/window is more functional than placing a single horizontal radiator to one side or the other of the door/window. Next, you need to ensure that the radiator can provide enough heat for the room. In the UK, the output is measured in British thermal units (BTU). To work out how many BTU are required in the room, you can use a BTU calculator. If you choose to install a vertical radiator, then add 10% of the BTU value to the result. For example, if a calculator tells you the room needs 2000 BTU, and you're buying a vertical radiator, you need to buy a radiator with 10% more output, i.e. a 2200 BTU radiator. This will help account for the difference in heat distribution between vertical and horizontal radiators. The calculators are designed for horizontal radiators. The radiator being piped from top to bottom makes it more efficient. It ensures that the entire radiator is heated. If the heat only comes through a bottom pipe, it will take a lot longer for the top of the radiator to heat up and it will never become as hot as the bottom of the radiator. However, by having it piped at the top, it ensures an even distribution of hot water through the radiator. When buying a vertical radiator, you have to take the above three factors into consideration. This will help to ensure that you are buying a radiator that suits your space and budget. It seems a bit odd to confess that buying a whole new central heating system is one of the pleasanter parts of property refurbishment. If you want to bring a home into the future, then nothing beats a total refurbishment that should also include a whole new central heating system. With modern colourful and innovative radiators, this should always be a major consideration in the total décor package. If you hardly notice that old and boring white panel on the wall, then you need to take a look online at the latest designs. Radiators have come a long way in recent years, There are many manufacturers all vying to be the best. The result is that you'll find yourself spoilt for choice. And it's not just radiators. Boilers and clever thermostats are all part of the package. With the running costs increasing every year, the remote controls mean that being unexpectedly away from home, no longer has to mean wasted heating. It seems these days there is an app for everything, and central heating control is just one of them. Most properties in the UK didn't have central heating till the early nineteen-seventies. Before that time, the usual heat source was an open fire along with gas and electric. The country was way behind the rest of northern Europe. When the first systems were fitted, they were all identical when it came to radiators. But if you need to buy radiators today, the choices are so diverse that selecting for each room is a pleasant trial. They don't all have to be the same. Chrome, anthracite, brass and aluminium in every conceivable size and shape, are there for the choosing. In rooms where wall space is at a premium, this is particularly useful. Narrow alcoves can be fitted with tall and slim ones. 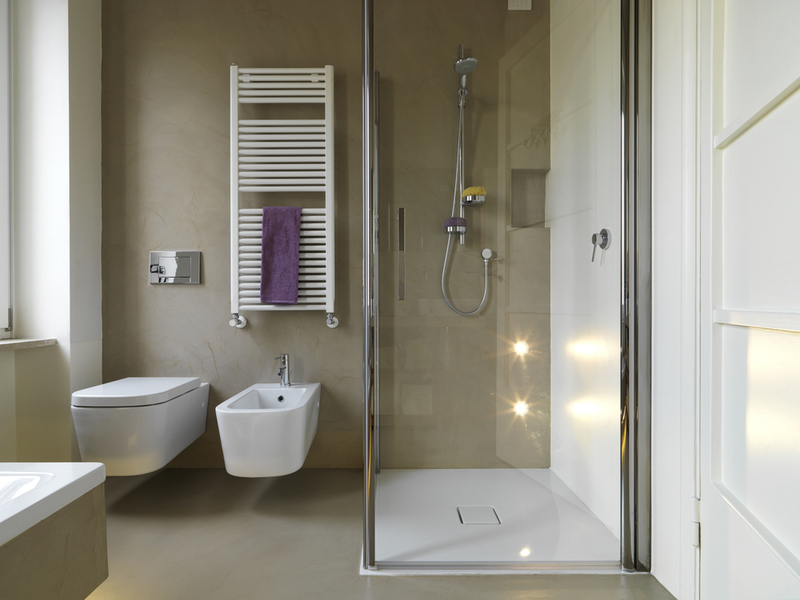 Small bathrooms can be fitted with a heated towel shelf that is above head height. There's a radiator for every size of room, and there are even radiators that double up as full length mirrors. French doors are a fantastic feature in any room. They bring in much greater amounts of light to the room and they allow you easy access to the garden. They are certainly one of the more luxurious items in a room. Unfortunately, they have one significant drawback. They tend to let in too much cold. In other words, if you take two identical rooms, one with French doors, and one with standard windows, the one with the French doors is likely to be colder. This means that the room requires more heating. You can buy French doors that have triple glazing and this will help to reduce the amount of heat lost through the doors. You can also add a curtain over the doors. However, the latter option tends to be a poor option because it takes away from the attractiveness of the doors. Clearly, the solution is to buy a decent radiator that makes up for any losses in heat. In this article, we are going to explore how to choose a radiator for a room that has French doors. Does the room have space on either side of the doors? If the room has space on either side of the doors, then the best option for you is to buy two vertical radiators and place them on either side of the door. Not only does this allow you to provide a great amount of heat for the room, but it also creates a beautiful aesthetic. It is especially good for use with vertical radiators that have a beautiful appearance – it really makes the doors “pop”. There are so many different vertical radiator options on the market, that you can find some truly exceptional designs that will look fantastic next to French doors. However, if the French doors do not have space on either side of the door, you will have no option but to install a radiator somewhere else in the room. The best place to put radiators is near the window, or door, but if this is not possible, then the next best place is to position them on a north-facing wall or on a wall adjacent to the doors or windows. In this case, you will need to install horizontal radiators. Horizontal heaters don't necessarily produce a greater amount of heat compared to the vertical heaters, but what they do do is distribute heat much more evenly so that it feels as if they're producing more heat. The heat is also distributed through the room better and so is much more likely to prevent problems, such as condensation and damp. An exception to this particular rule is if the French doors are to the extreme side of the room. In other words, the doors do not have any space on one side, but do have a wall to one side (at a 45 degree angle, so a corner). In these instances, you can place a vertical radiator on one side of the door and a smaller horizontal radiator somewhere else in the room. However, this can often result in bizarre looking interior design. It's great for homes that won't work you look, but if you're looking for something classic, then this isn't something you should consider. We hope that you have found this article useful. French doors are often a beautiful feature in the room and the choice of vertical or horizontal radiators can really make a difference in making that feature pop. Are you thinking of buying new radiators for your home? Do you want to know what trends there will be for 2019? If so, you've come to the right place. Today, we are going to explore 5 of the biggest trends in radiators for 2019. If you want to be bang on trend with your interior design, then you need to read this article. Many people overlook their radiators as a design feature, but if you think about it, it is one of the biggest items of furniture in any room. They can be a focal point. Focal points are very important in design. This means you can make a feature of radiators and when you do, it will vastly improve the space...well, it will if you choose wisely and we are going to help you do that now by looking at 5 upcoming trends in contemporary radiators. The industrial look is very popular in older properties, especially designer Victorian homes. This year, we are seeing a large trend in all things industrial. For example, you will be able to find bookshelves made from industrial piping, overhanging lights with an industrial feel, and industrial style handles for kitchen units. Not to be outdone, radiator designers are getting on board this year with the industrial look; you'll see many examples, especially with column radiators. In a way that might not be apparent immediately, the mirrored radiators are following the same trend as the industrial style radiators are. This is postmodernism, where things that traditionally had one function now have multiple functions and are being put the different uses. What better way to express the postmodern sentiment than having a radiator that doubles as a mirror? It is minimalist and multifunctional. It requires some thinking out of the box, which is typical of postmodernism. They look good too and they're useful! Another take on postmodernism is the shelving radiator. As the name implies, these radiators double as shelving, normally for books or other items that are not damaged by heat. These are not the same as radiator covers; these are actual radiators that are shaped like shelves. There are some radiators that have the industrial look of pipework and which double as shelving. These are my personal favourites and I am saving up to install one in my home. They work great in old-fashioned homes, such as Victorian homes, which is where I live. We are also seeing a huge increase in the number of novelty radiators. These radiators have quirky and unusual shapes. They are intended to act as art installations as well as radiators. There are some fantastic examples on the market and there are radiators that suit every budget, so even those of us on a very limited budget can improve our space dramatically by buying a novelty radiator. Of course, we don't all like the same things and for many people "If it ain't broke don't fix it". If that's you, don't worry. There are plenty of traditional contemporary radiators available and they come with some of the best technologies around, such as double convector fins, triple panels, and TRV valves. One thing you should take away from this article is that if you're looking for new radiators, you'll be spoilt for choice in 2019.